Gummies infused with cannabidiol (CBD) are part of the larger category of “CBD edibles,” snacks containing a (variable) dose of cannabidiol, one of the less popular ways of cannabidiol supplementation, but widespread nonetheless. The current CBD craze among consumers and companies looking to make a quick dollar, coupled with the hazy legal status of many cannabis-derived products means that what you see is rarely what you get. If you are looking to take advantage of the many benefits of cannabidiol via these sweets than this article should guide you through the likewise many pitfalls these gummies entail. 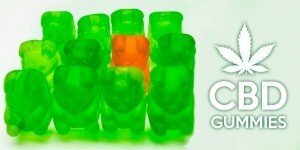 We will list the signs that point to a quality product, review the possible health benefits you can derive from CBD gummies, check out some of the best gummies the market has to offer while trying to clarify the (sometimes deliberate) confusions – such as gummies deriving from marijuana and those featuring hemp. In-depth analyses like the one you are about to read are the best methods of navigating the supplemental CBD maze created by the legislative void around this substance, doubled by the unwillingness to enforce what feeble current regulation there is. 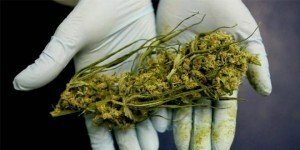 At the end of this article you will be convinced that, in many cases, there is a glaring disparity between what is claimed (by manufacturers and too eager marketers online and also in the traditional market), what is delivered to the customer, and what a quality cannabidiol product should be. It is rather odd for a plant that has been cultivated for more than five millennia almost all over the world to be seriously placed under the researchers’ attention just a few decades ago. Obviously, the culprit is the cannabis plant. This abnormality has cultural roots. Our ambivalent ethical attitude towards something that has psychoactive properties is the primordial underlying cause for the position marijuana has in today’s society and economy. Hypocritical stances have been the precursor of many myths and confusions. As Western society has steered away from the (healthy) old motto of “private vices, public profit” in a moral crusade against drugs, cannabis has been relegated from the public eye through draconic regulations (especially in the United States), though its popularity (mainly as a recreational substance) in private circles has never waned. 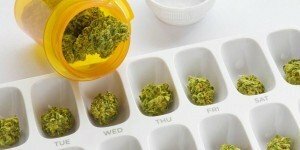 As scientists do not (and should not) have time for moral prejudice, cannabis began to be studied in earnest in the late 1960’s and the discoveries since that time prove that cannabis is much more than a rebellious student’s pastime, with potential benefits that might change the pharmaceutical status quo for good. The discovery and further more sophisticated research of cannabinoids (particularly tetrahydrocannabinol – THC, and cannabidiol – CBD), the human body’s endocannabinoid system, and new technologies to better manipulate the plant itself and its extracts have revolutionized the way cannabis is perceived in today’s world, though islands of conservatism will continue to exist. From all those discoveries, cannabidiol (or CBD, for short) is slowly beginning to be recognized as the compound in cannabis which has the most potential to benefit the human body in several ways and areas, with the crucial property of minimal side effects. Naturally, this discovery has led to a media frenzy surrounding the miraculous properties of CBD. The problem lies in the fact that CBD has therapeutic potential, it is no miracle. And that potential cannot be unleashed without clear-cut regulations based on serious scientific research. And that moment is not here, yet. But what has arrived is a mountain of speculation. In 2015, a US Senate caucus was put together to assess the current status of (medical) marijuana production and distribution (in the states where it is legal), the advancements in cannabis research, and the industry of cannabis related products. Many interested parties – governmental agencies such as the FDA and DEA, influential members of the medical and business communities, and the political establishment – were present, with many buried realities and controversial points of view made official. Large and Medium Companies which operate within the legal framework, meaning medical marijuana in states with the adequate statutory provisions and dietary supplements in jurisdictions that do not permit it. Their output is usually of a good to top-notch quality, they are present in at least a few states (if not nationwide) and have a diverse line of products. For example, Medical Marijuana, Inc. is probably the biggest player on the market (with sales in the hundreds of millions), a multi-national outfit selling medical marijuana, and dozens of different cannabidiol supplements – from gummies and chewing gum to vaporizers and sublingual oils to beauty products based on cannabis extracts. Even the more modest of such enterprises have at least a few lines of products, with different dosages and marketed to various categories of consumers, on different channels. Small Businesses that typically sell a single product and are usually restricted to online marketing for their products. While there certainly are modest, driven, and trustworthy entrepreneurs in this category, the majority sell shady supplements and usually do not last very long on the market. This comes as no surprise, because the resources needed to patent a formula, test it, manufacture a supplement to a decent standard, then creating a reliable network of distribution are beyond the possibilities of a small firm. Therefore, the consumer needs to be very careful when purchasing any CBD product from vendors selling a single type of supplement. The reason these questionable businesses are allowed to continue their practices and flourish is simple ignorance. If the situation was perfectly understandable a few years ago, when cannabidiol was beyond the attention of the competent authorities, things have changed considerably in the past three years. 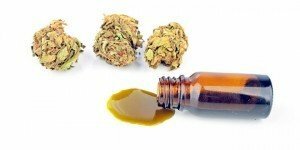 Drugs containing cannabidiol have been sanctioned by the FDA, with the agency seriously considering CBD for future inclusion on the pharmaceutical products list. Thus, cannabidiol is recognized to have significant (both positive and potentially detrimental) effects on the human body, and cannot be entered freely on the market without extensive and serious studies conducted beforehand. And, legally, should definitely not be sold as a dietary supplement. As we have stated at the beginning of this article, CBD Gummies are cannabis-derived edibles. 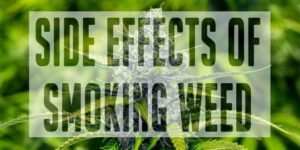 Numerous other such products spiked with cannabis extracts exist, and this is because this method of administration has some advantages over other, more established ones, such as smoking or sublingual administration. The endocannabinoid system functions in many ways, and different cannabinoids produce different effects. 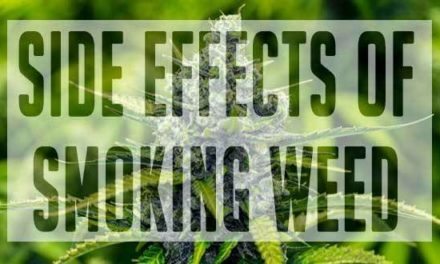 Smoking, vaping, or drinking cannabis products usually produce almost immediate and strongly felt effects, a matter of a few minutes to a quarter of an hour. Yet, they last 90 minutes – 2 hours at the most. This is why smoking is the preferred manner using cannabis in a recreational setting. Cannabis edibles, on the other hand, make their effects felt much slower, at least 2 hours after ingestion. Also, their impact is not as powerful. However, it can be felt up to six hours after, making edibles the product of choice for those who suffer from chronic conditions, especially long-term pain and gastrointestinal comfort. It should be implicit that when prospecting the offers for CBD gummies, you should look for a product that has been tested by a third party, contains no GMO’s or artificial flavoring (although that can be hard to spot just from the label), and should always state the exact amount of CBD per serving and per package. If the (online) shop that sells the CBD gummies has a few other such products, then there is a great likelihood that you will purchase a quality, safe, tested product. A second criterion you should be taking into account is a little bit trickier. All CBD edibles derive their potency from the oil that has been extracted from the cannabis plant and then processed into the end result. Most experts agree that the cannabinoids in the oil degrade over time and when put under intense thermic treatment. In layman’s terms, the actual cooking (or preparing) process should not involve temperatures far above 200 °F (100 °C). As the customer does not witness the manufacturing process, it is practically impossible to check if this criterion is met when buying CBD gummies. However, you should look out for companies that accurately describe it in their advertisements to increase your chances of purchasing quality gummies. A third, and probably most important, benchmark revolves around a terminological incongruity that plagues the industry – hemp vs. marijuana. As it is well known, supplements advertise that the CBD used in their products comes from either hemp oil or cannabis. A first clarification is that cannabidiol is chemically a fatty acid, so CBD extract obviously comes in oil form. Now, let us sort out the hemp and cannabis conundrum. In non-specialist terms, hemp refers to the variety of cannabis plants that have for ages been used in the textile industry. 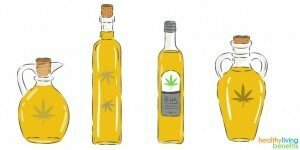 It is also true that people living in areas with large hemp plantations harvested the plants’ seeds to make cooking oil. On the other hand, marijuana refers to cannabis plants specifically designed for powerful psychoactive effects. So, both hemp and marijuana are cannabis, although there is this distinction between them. As a general rule, hemp has a far lower concentration and potency of cannabinoids compared to marijuana. Scientists today have the possibility to grow plants with specific cannabinoid composition. However, few people possess the necessary know-how, and plantation is usually conducted in a non-scientific manner. Moreover, the process of cannabinoid extraction is a costly one. Getting the same cannabinoid concentration from hemp requires many more plants and a lot more effort than from marijuana. Why would anyone choose hemp over marijuana? Remember the ethical and legal prejudices. Prestigious cannabis researchers do not use the two terms; they simply say cannabis extract from a specific strain. Therefore, there is a greater likelihood for a quality CBD product when hemp oil is not mentioned. But it could also be there for legal reasons, and the actual thing the customer buys is still CBD from marijuana, as the actual extraction process is rarely done in the United States. The bottom line is that you should steer away from products advertising “CBD from hemp oil,” opting just for CBD. You are in the most privileged position if you live in a state where medical marijuana is legal and ask your doctor about which brand of CBD gummies would best suit you. In this section, we have seen that there is no foolproof way of choosing the best brand of CBD gummies, as the lack of regulation in the field makes it virtually impossible for someone without a doctorate in the biochemistry of cannabis, yet there are some criteria that should increase the chances of purchasing a quality product. Now let us briefly review the benefits one might derive from CBD gummies. Before we list some of the most important potential health benefits of cannabidiol, we should first take the matter of dosage into consideration. The existing tests undertaken until now have had limited purpose and methods. Based on previous knowledge about certain conditions, experiments with cannabidiol have targeted precise goals with specific dosages and methods of administration. For example, the often encountered statement – “CBD helps with symptoms of epilepsy.” That is partially true, as a high dose of cannabidiol significantly curtails the frequency of seizures among approximately 65 percent of patients with the Dravet syndrome, a particular manifestation of epilepsy, often encountered in children. This is why anyone who wants a casual CBD supplementation should take each of these statements with a pinch of salt. CBD research is still in its infancy, and from small doses of CBD in the form of CBD gummies, for example, a realistic person should expect only mild improvements at best. It should be better thought of as a natural snack for those who have a sweet tooth. 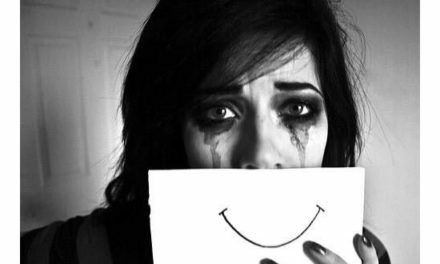 Pain Relief – marijuana is used in the alleviation of chronic pain, however, in most cases, THC is the responsible agent rather than CBD. Nevertheless, there are numerous reports of CBD being useful in cases of fibromyalgia, itself a controversial condition – poorly researched and understood, more a collection of symptoms than a documented disease. 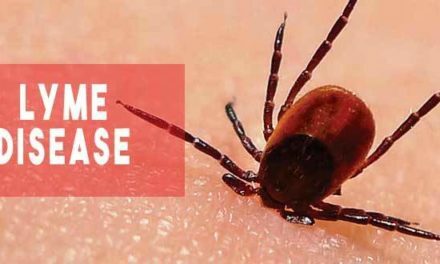 Reduces Inflammation – numerous experiments performed on rodents prove that cannabidiol significantly reduces chronic inflammation, specifically in targeted studies – for example, long-term inflammation in the circulatory system. 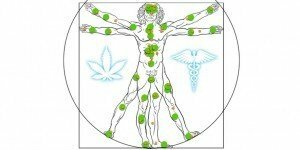 In humans, there are promising studies involving joint pain, perhaps inspired by traditional Chinese medicine which used marijuana in cases of arthritis. Fights Anxiety – definitely one of the better researched of cannabidiol’s effects, with separate and independent studies among psychiatrists which showed that CBD supplementation worked better in patients with generalized social anxiety disorders, with minimal side effects than mainstream pharmaceuticals. Anti-Emetic – this is one of the best-documented effects of marijuana. It seems that the secret here is a product that contains a CBD:THC ratio of 3:1, as a recently FDA approved product to fight queasiness in cancer patients undergoing chemotherapy. Therefore, it is highly unlikely to reap the same anti-emetic benefits from gummies containing a small concentration of CBD from hemp oil. Cardiovascular Benefits – this possible benefit is linked with the anti-inflammatory properties of CBD, and stems from the same few studies on rodents. While it is certainly verified that CBD proved to be an arterial protector in those cases, one must be cautious in extrapolating that conclusion to the human body. Miracle CBD Gummy Bears from Miracle Smoke – designed a health supplement and not intended for persons under 18 years of age, $9.95 for a six-pack with four different flavors, with the active ingredient being 10 mg of CBD from hemp oil. It is THC-free and lists artificial flavors among its ingredients. 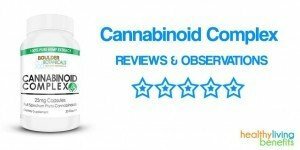 Miracle CBD Gummy Bears feature at the top of many reviewers’ lists, no doubt because of its relatively high CBD concentration and affordable price. CBD Sour Gummies from Wanna brands – this Colorado-based company limits its distribution to three other states (Nevada, Illinois, and Arizona) and features 5 mg of CBD and 0.5 mg of THC per serving. It is well documented that a minimum of 3 mg of THC is needed for any discernible psychoactive Therefore you will not get “high” if you stick to the serving. Available in four different flavors and has ten pieces per package. CBD Infused Gummy Bears from LoveHemp – attracts customers with its almost innumerable packaging choices, with the basic 10-piece package costing $5.99. It contains 10 mg of CBD from refined hemp oil and features a single flavor. Healthiest CBD Gummies from CBD Oil Land – is available online in all US states, and does not feature THC. There are numerous problems with this supplement as the dosage is never revealed, although the manufacturers make a lengthy case of their health-minded oil extraction process. Pulse CBD Full Spectrum Gummies from VaporLounge – are by far the most potent gummies on the market. Each package is made up of four 35 mg gummies (strawberry, apple, grape and orange flavors) and one pineapple-flavored 60 mg one. With the recipe purportedly created by a licensed pharmacist, one pack costs $29.95. These gummies feature both hemp oil, and CBD extracted from hemp oil. Until a serious inquiry into the practices of these manufacturers, CBD gummies are pricey snacks with potential yet mostly unfounded benefits. If you are dedicated to pursuing this avenue as a consumer, however, you should make sure the product you are about to purchase fits the criteria presented in the second section of this article. Of course, if you are more dedicated than that to the cause of cannabidiol research than lobbying the competent authorities would go a long way in dispelling the myths and retrograde attitudes surrounding cannabis, cannabinoids and related products. 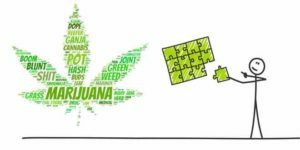 PreviousEndocannabinoid System Explained: What is ECS and What Is Its Role? NextAthletic Greens Review: Is It Life-Threatening? Very interesting and informative. Thank you!